We’re in for a treat to have Anna from The Measured Mom here today! I got to know Anna over a year ago and have always been so impressed with her blog. 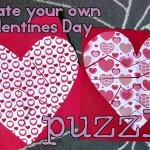 She has hundreds of free printables on her blog! She is an awesome resource for parents and teachers. Thank you Anna for being here today!! I’m so thankful that God has recently blessed Angela’s family with precious baby Lincoln! I’m honored to be guest posting here at Teaching Mama while Angela adjusts to life as a mama of three. A few months ago, my two-year-old was playing hide and seek with his older siblings. I heard him call from the closet, “1, 2, 4, 9, 7, here I come!” Then today, as he sat on my lap, I heard him count to ten for the first time! 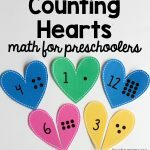 When kids can count by rote, it’s time to help them make numbers meaningful by teaching them to count real objects. 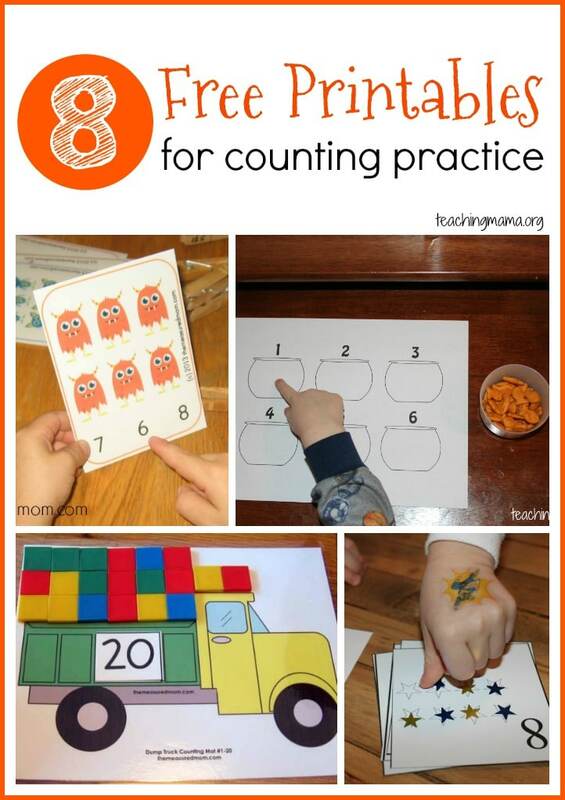 Counting groups of objects past two can be difficult for toddlers and young preschoolers. Thankfully, there are so many fun ways to learn! 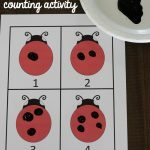 Today I’m sharing a round up of free counting printables for preschoolers. Have fun! 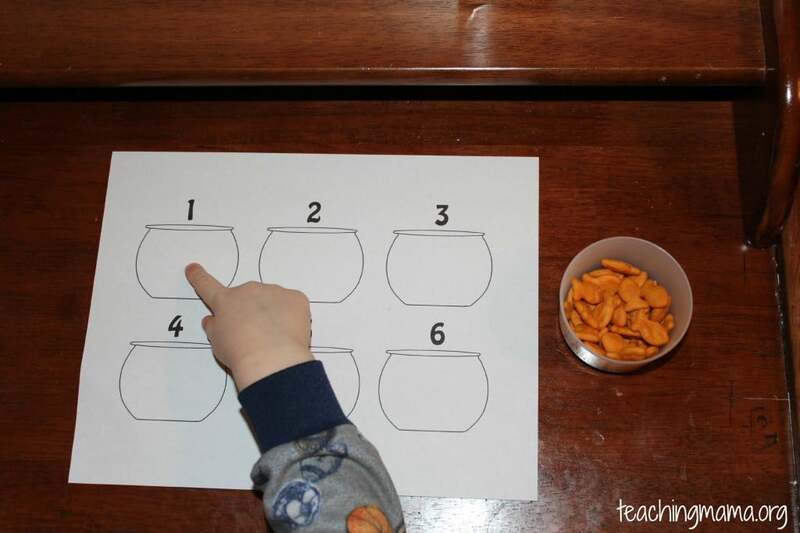 Have your child count goldfish crackers and put them in the goldfish bowls on this fun printable. 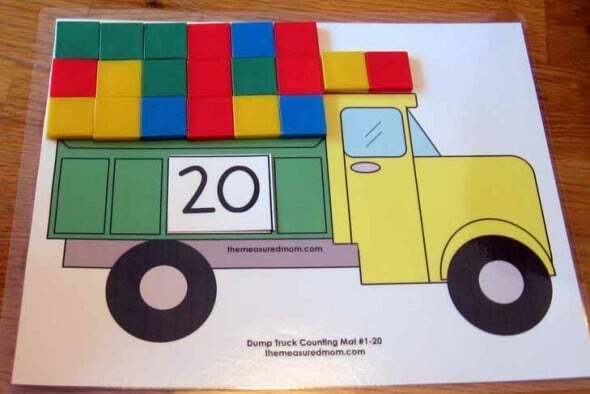 Put a number on the side of the truck and have your child fill the back of the dump truck! 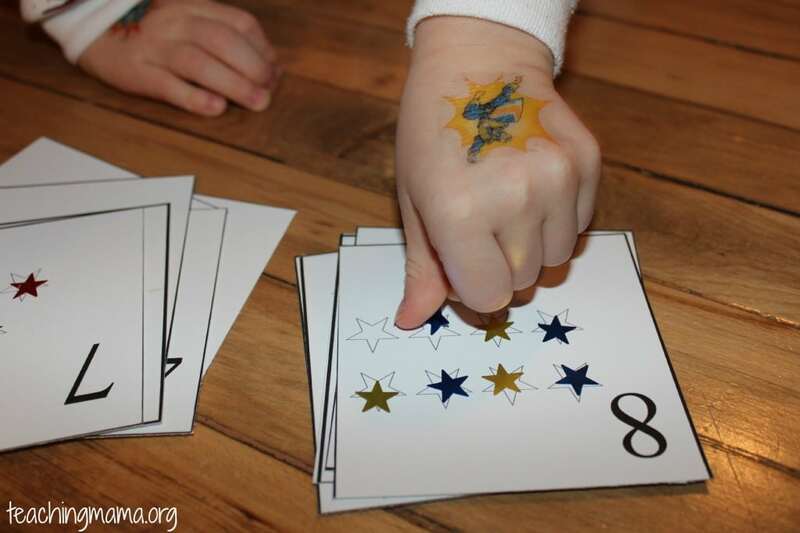 Use some shiny star stickers with these counting cards. 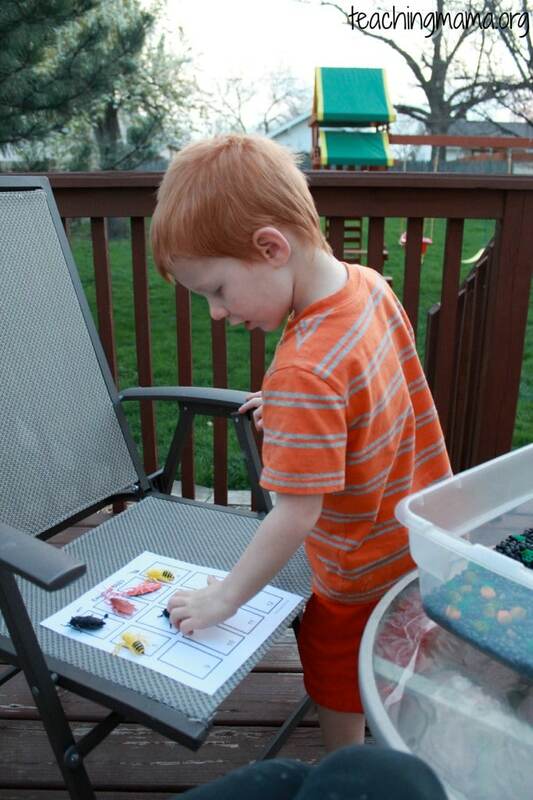 Bury some toy bugs or other fun toys in a sensory bin. 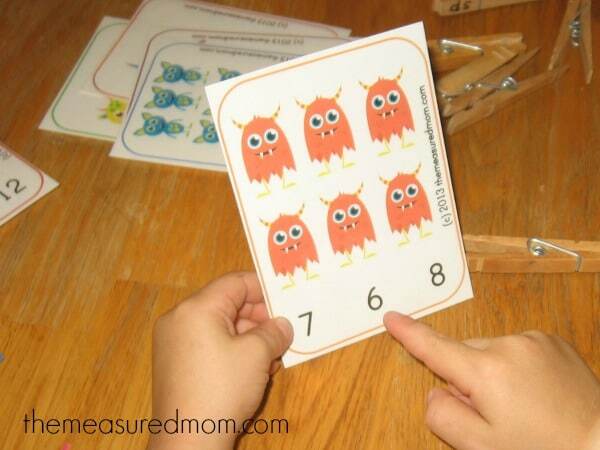 Then have your child count the objects as he places them on the numbered boxes. 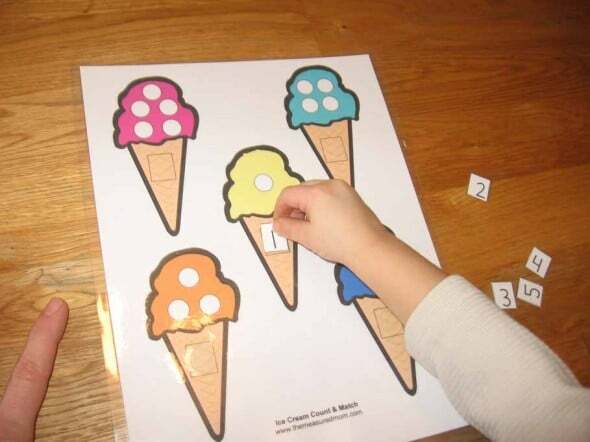 Count the dots on the ice cream cones with this file folder game. 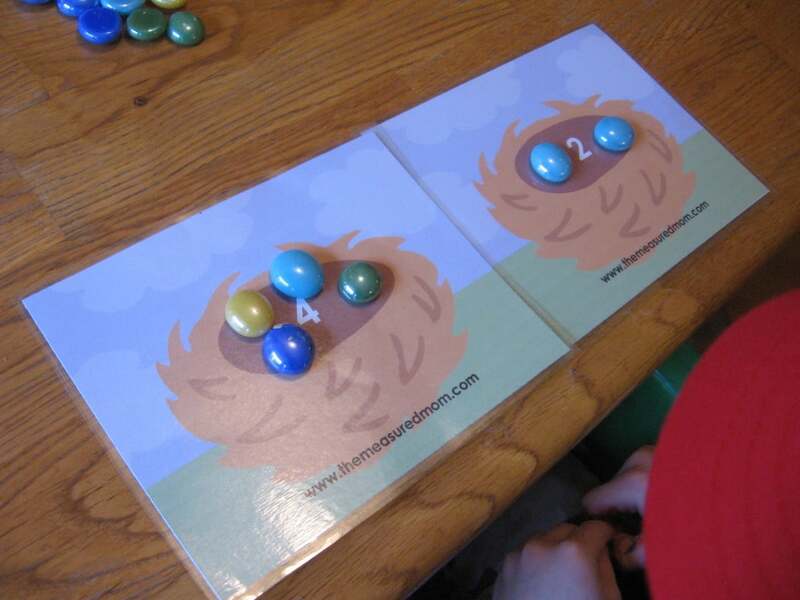 Your child can count “eggs” using these printable nests labeled one to ten. 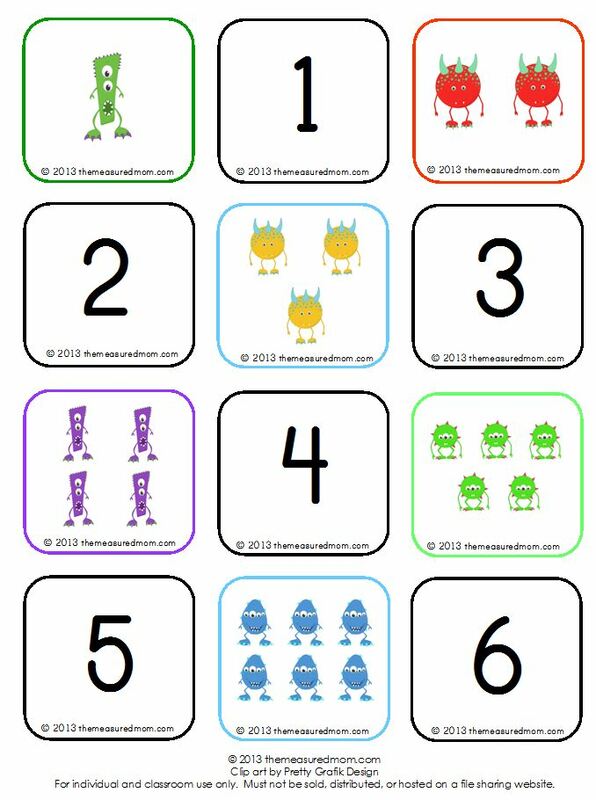 Print this monster matching game to play with your child. 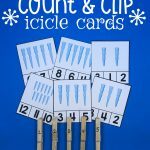 And who can resist these adorable monster count and clip cards? Anna taught for eight years and received an M.Ed before beginning her new career as a stay-at-home-mom. 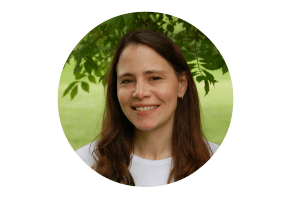 She’s raising her five children (7, 5, 4, 2, & 7 months) while writing her blog, The Measured Mom. 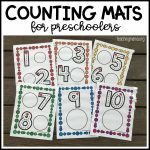 Anna shares thoughtful articles, hands-on lessons, and free printables for parents and teachers. 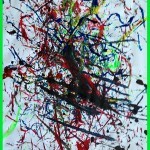 You can find her on Facebook, Pinterest, Twitter, and Google Plus. These look so fun! Pinning! Selena @ Look! We’re Learning! recently posted…Weird Science Facts for Kids with Ripley’s Reality Shock!